For control of a wide spectrum of broadleaf weeds. 50 lb bag covers approximately 12,500 sq. ft. Apply at 4 lbs per 1,000 sq. ft.
Can be used with the 3 step process for controlling weeds. 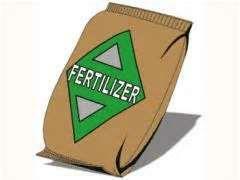 * Please call us with any questions about our fert. viper weed/feed 15 3 5 rentals in Oak Grove MO, Blue Springs MO, Independence MO, Lexington MO, Odessa MO, Independence MO and Western Missouri.